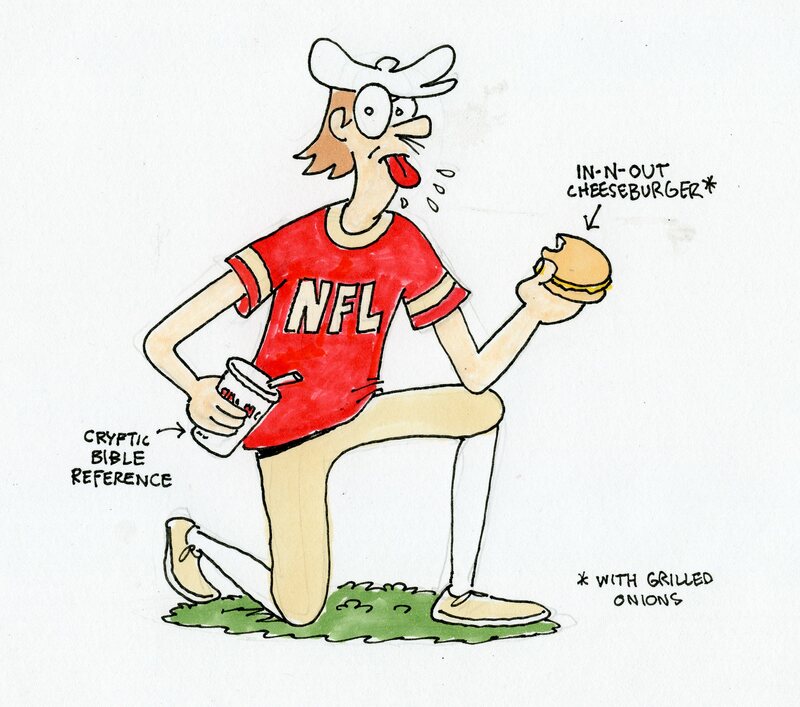 I’m so fed up with these partisan hissy fits that I’m ordering an IN-N-OUT cheeseburger combo and eating it while I take a knee at a 49ers game!!! This entry was posted in Culture, Food, Inept vs. Insane 2020, Politics. Bookmark the permalink. 2 Responses to Boycott This!!! Are those Nike shoes you’re wearing? Nike? On a cartoonist’s salary? I buy my shoes at KMart.